Lazar Spinal Care serves Dexter and Saline residents with NUCCA, QSM3, and Laser chiropractic techniques. Our new online store is coming soon. 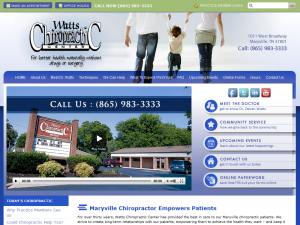 Life Chiropractic College graduate provides chiropractic care in the Maryville area since 1982. 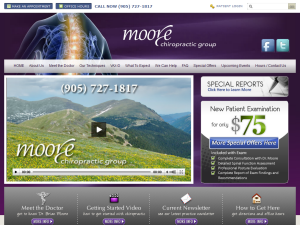 Moore Chiropractic Group offers Newmarket with quality chiropractic care using Diversified, Activator Methods, Thompson, Applied Kinesiology, SOT, CBP and VAX-D techniques. Foot Levelers are also available. Dr. Robert McEvoy of Community Chiropractic Care offer Diversified, Gonstead, Thompson, CBP and Flexion-Distraction adjusting methods. 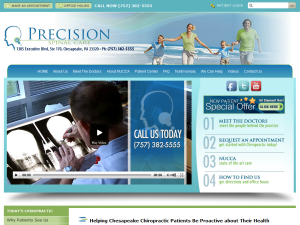 Precision Spinal Care serves Chesapeake residents with highly specialized chiropractic technique called NUCCA (National Upper Cervical Chiropractic Association). 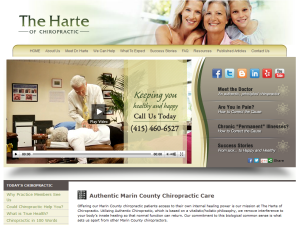 The Harte of Chiropractic offers Corte Madera and Mill Valley area with quality chiropractic care since 1981. Western States Chiropractic College graduate serving Arlington MA with Activator Methods® and Insight Subluxation Station adjusting techniques. Acupuncture is also available. 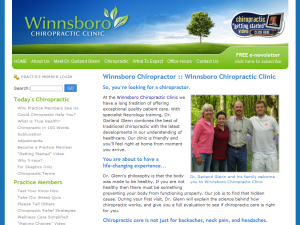 National University of Health Sciences graduate provides chiropractic care in Sulpher Springs and Mineola neighborhood in Winnsboro, TX. The Thames Clinic offers Egham and Ashford with Diversified, SOT, Thompson and Gonstead. Also offers Acupuncture and Health Classes. 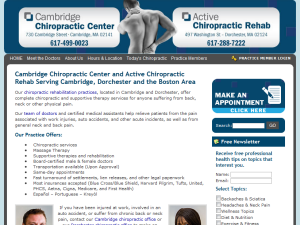 Dr. John Dupuy and Dr. Shawn Jackson-Dupuy offer Diversified, Activator Methods®, SOT and Applied Kinesiology adjusting methods from two convenient locations in Cambridge and Dorchester, MA. Life University’s College of Chiropractic graduate serves Macomb and Clinton Township with Diversified, CBP and Graston adjusting methods. 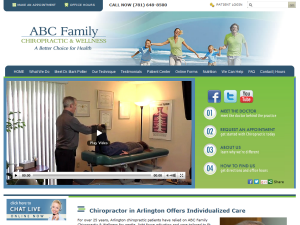 ChiroCenter Chiropractic serves Robbinsdale residents with Diversified, Activator Methods® and Gonstead chiropractic techniques. Massage Therapy is also available. 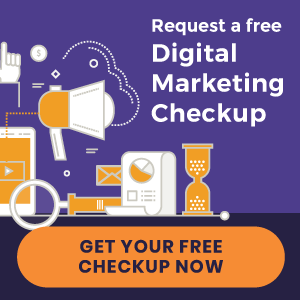 ChiroCenter Chiropractic serves Long Lake residents with Diversified, Activator Methods® and Gonstead chiropractic techniques. Massage Therapy is also available. ChiroCenter Chiropractic serves Uptown Minneapolis residents with Diversified, Activator Methods® and Gonstead chiropractic techniques. Massage Therapy is also available. ChiroCenter Chiropractic serves Golden Valley residents with Diversified, Activator Methods® and Gonstead chiropractic techniques. Massage Therapy is also available. 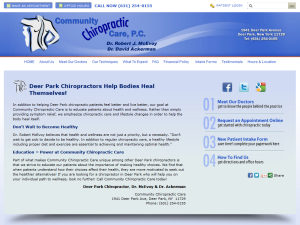 ChiroCenter Chiropractic serves Eden Prairie residents with Diversified, Activator Methods® and Gonstead chiropractic techniques. Massage Therapy is also available.